If your client has a photo uploaded to their account and they are a player that has been published to EZLeagues you can display their photo on the game card. 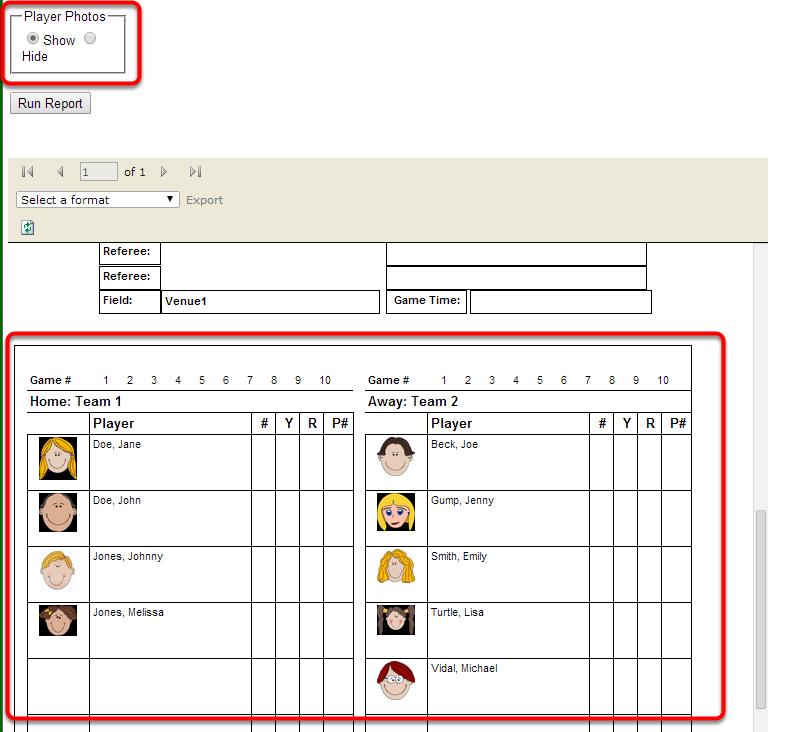 Once you have selected your game card you can 'Show' the Player Photos and run the report. *Please note that the photo must be uploaded from your EZFacility account before you publish to EZLeagues. If the player has a photo on file it will display on the game card.